It’s not that you don’t understand or agree with why it matters. You’re sold on the benefits of eating whole foods, raising healthier kids, avoiding toxins and chemicals, getting fit, and using alternative remedies. But sometimes it’s a whole lot easier to say than to actually do, right? What on earth do you eat (and especially, what do you feed your kids)? How do you afford to buy healthier products? And where do you find the time to make and do all this stuff? When you have the right info and tools at your fingertips, it all comes together so much easier. In the spirit of making this whole healthy living thing more enjoyable, let me introduce you to one of my favorite companies, Grove Collaborative. 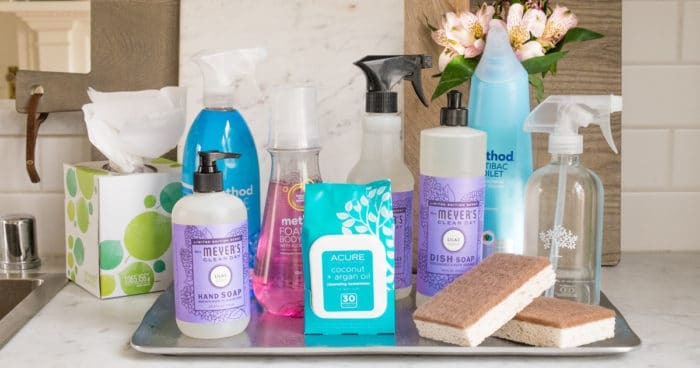 Grove is a monthly subscription service that delivers natural cleaning, home, beauty, and baby products right to your doorstep, on your schedule. It’s like having a brilliant personal assistant who keeps your home stocked up on the essentials while you get to skip scanning labels for toxic chemicals at the store, and instead enjoy more family time. 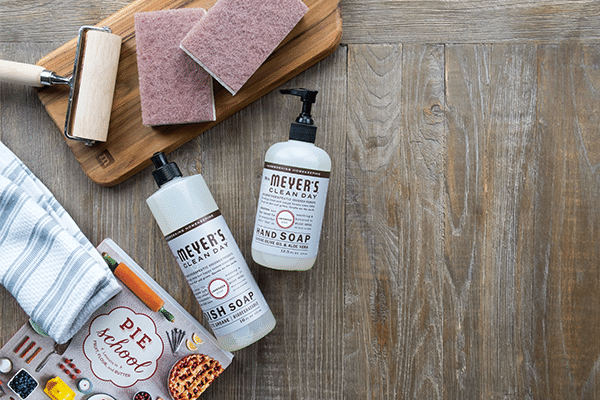 Grove Collaborative grew out of a simple belief: the best natural products for your home and family should be the easiest to get. You no longer have to stand in the store aisle reading label after label trying to decide which household or beauty products are really safe for your family. Grove does the research, hand-selects the best natural products, and delivers them (carbon offset) right to your door. There’s also a 100% happiness guarantee, so you can feel safe trying new products. The best natural products delivered right to my front door? Yes please! Don’t get me wrong, I love a great trip to Target…but what I don’t like is the 20 minute drive to get there when there are also kids to take care of, baseball games to get to, and dinner to me made. Plus, I’m sure I’m not alone when I say it’s unlikely to walk out of Target without a few extras that weren’t on your list. You know how you go to the store for one thing and end up leaving with a full cart of unplanned items? With Grove there’s none of that. You simply set it and forget it (unless you need to make changes – see below) and your favorite natural products will be delivered to you. With Grove there is no obligation to buy anything you don’t want. A few days before each scheduled monthly order, you will receive a text or email as a reminder when it is time to check your cart each month. Removing or adding products, changing scents, or postponing an entire order can be done in a matter of seconds. Yes, Grove is a monthly delivery service, but you get to decide what products you receive, if any. It’s totally up to you. If there’s a month that you don’t need any items, simply empty your cart before your order ships to skip that month. It’s that easy. You will never be sent something you didn’t order and you can cancel at ANYTIME. In addition to well-known natural brands, Grove also has their very own line of products. Their flagship line of products, Grove Collaborative, especially celebrates the amazing day-to-day choices made for our homes, families, and collective community. All products are all-natural and made in the USA. Grove Collaborative’s signature products include Grove 100% Organic Soy Candles, Grove Lip Balms, and Grove Cellulose Pop Up Sponges to name a few that I’ve tried and love. If you know me, you know I want healthy, but I also don’t want to pay a fortune for quality products. None of the other things matter if great products are priced out of reach. Grove works directly with suppliers and strives to offer prices well below grocery stores and big box chains. They believe in quality products, and want Grove Collaborative to be affordable for as many families as possible. Want to know the best part?! 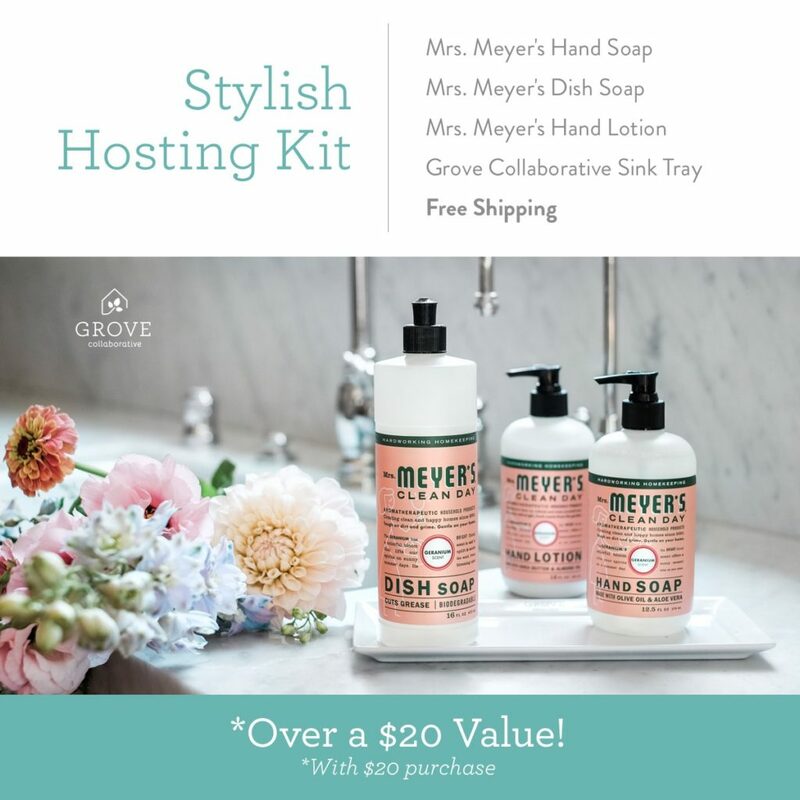 Right now new customers can get a Stylish Hosting Kit which includes a FREE set of Mrs. Meyer’s hand soap + dish soap + hand lotion + Grove Collaborative sink tray with a $20 purchase! Trust me…that $20 will go a LONG WAY at Grove! > 3 Ways to Turn Any Purchase Into a Deal – Never Pay Full Price Again!